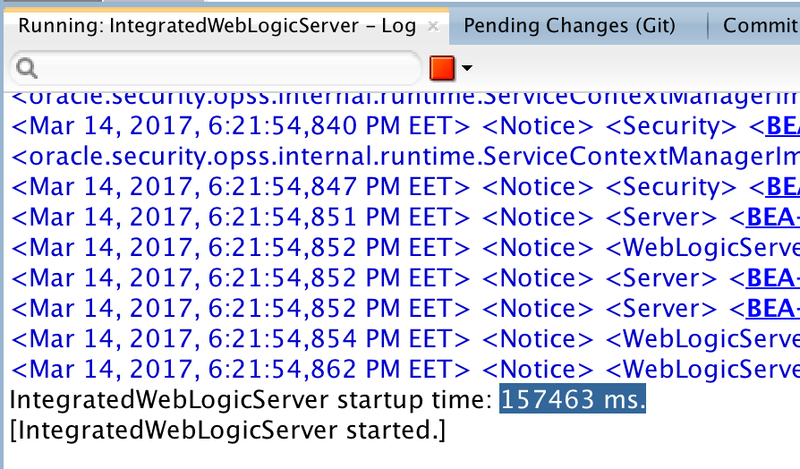 I have faced really slow WebLogic start-up times after upgrade to recent versions of macOS Sierra. 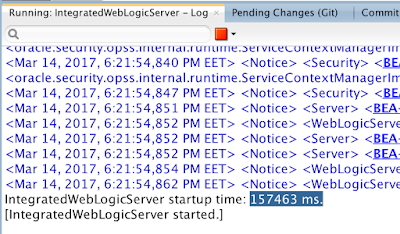 It turns out to be common problem related to JVM start-up on macOS systems, nothing to do with WebLogic itself. Solution is to register mapping between 127.0.0.1 and your computer name in hosts file, read more on Stack Overflow - Jvm takes a long time to resolve ip-address for localhost. This issue seems to appear with newer JVMs. Hope this hint will be useful for those developers, who are working on macOS.